Drivers may assume decreased function and capabilities from a used vehicle, which may be the case for some models. 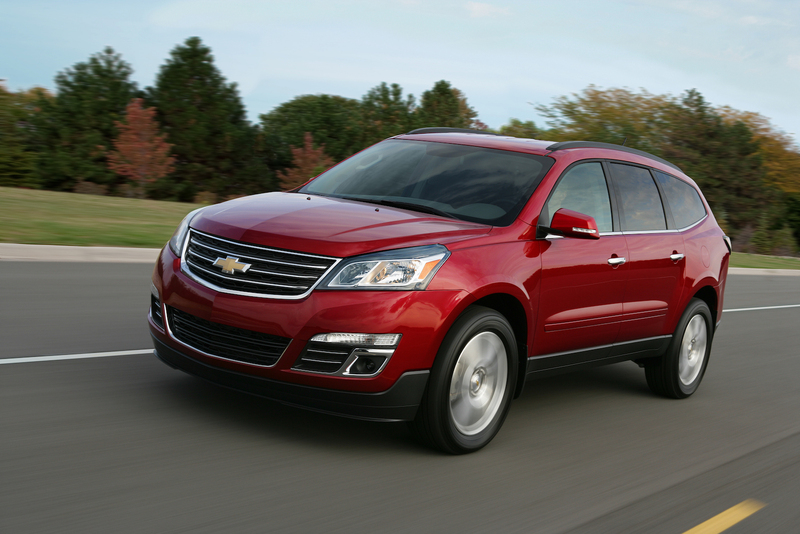 However, there’s one SUV that continues to prove itself on the used market: the Chevy Traverse. The vehicle has been on the market for nearly a decade, and engineers have continually found ways to revamp their nameplate. The SUV has consistently featured a powerful engine, a stylish exterior, and an innovative, technology-filled interior. The ‘Traverse’ nameplate actually made its first appearance in 2003, as the name was used for a concept vehicle at the North American International Auto Show. 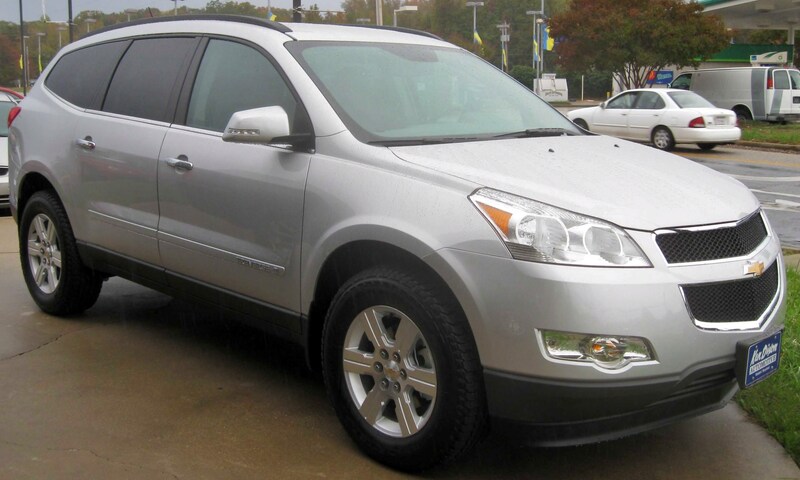 However, the vehicle was bumped when the Chevy Equinox was released in 2005. The Chevy Traverse made its official debut at the 2008 Chicago Auto Show, and the vehicle began showing up on dealers’ lots later that year. Fortunately, potential buyers shouldn’t have any issues finding a used Traverse lying around a dealership’s lot. The brand pushed an aggressive advertising campaign, and the SUV made appearances in TV shows like Hawaii Five-0, The Mentalist, and My Own First Enemy. As a result, the brand sold more than 91,000 units during its first full year on the market. These numbers have generally been consistent, with the brand selling a personal record of 119,945 units in 2015. The initial Traverse was inspired by the 2005 Chevy Sequel concept, especially the rounded edges of the crossover SUV. Engineers also borrowed the chevron grille that was previously seen on the 2008 Chevy Malibu, and the Traverse included exclusive sheet metal. Notably, there was a pair of engine options, and these two units have seen few changes during the nameplate’s run. The 3.6-liter LLT V6 engine pumped out 281 horsepower and 266 pounds-feet of torque, and the Variable Valve Timing and direct injection led to solid efficiency specs. The LTZ models included a similar 3.6-liter engine, although the unit delivered upgraded power specs at 288 horsepower and 270 pounds-feet of torque. Both of the systems were accompanied by the six-speed 6T75 automatic transmission. 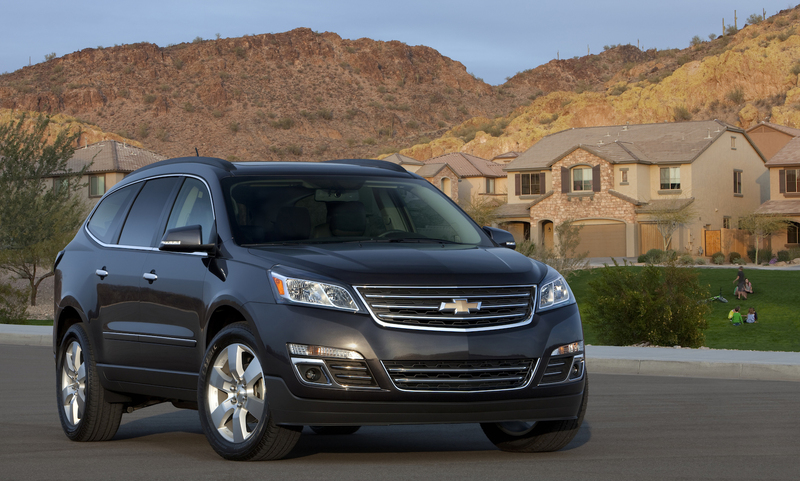 After the success of the 2009 model, engineers didn’t change up too many aspects of the Chevy Traverse. On the LT models, the noticeable “TRAVERSE” badge was removed, and the GM badge was also eventually taken off in a second update. 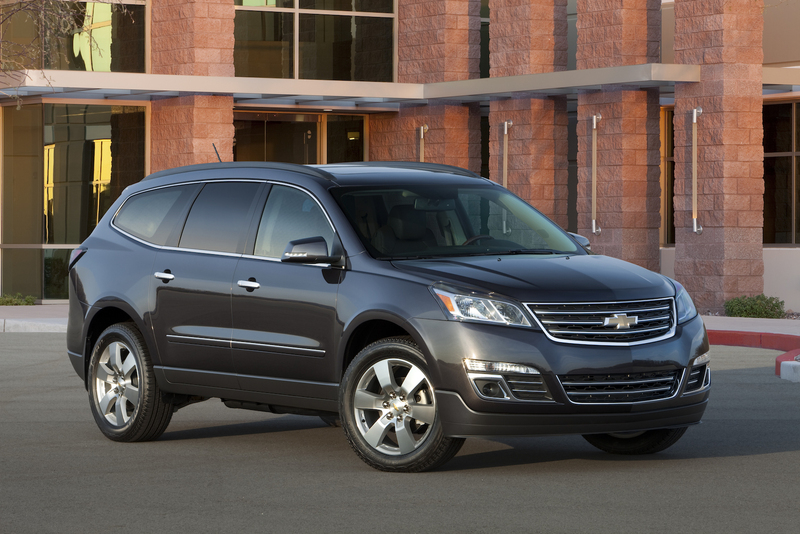 While these were the lone notable changes to the SUV, the 2010 Chevy Traverse has the distinction (along with the Chevy Impala) of being one of the brand’s two vehicles to undergo a pair of updates for that model year. 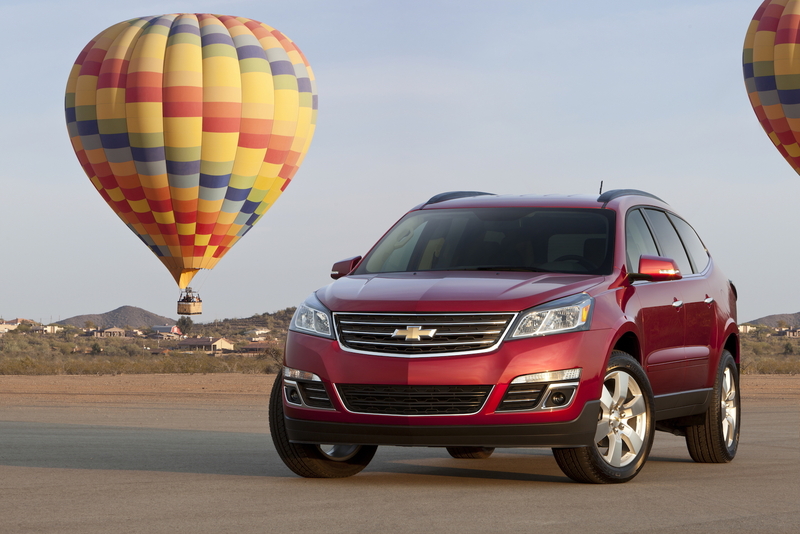 After several years of offering similar crossover SUVs, Chevy finally revamped the Traverse in time for the 2013 model year. The SUV contained a new front grille and front fascia, and the liftgate was also redesigned for maximum convenience. A new set of tail lights (borrowed from the Camaro) were also installed. The transmission was reworked slightly, thus providing drivers with a better overall driving experience. Several new wheels were added to the list of options, and buyers could still choose between the front-wheel-drive and all-wheel-drive systems. The interior was highlighted by the addition of the MyLink Radio and touchscreen. The system allowed drivers to access a number of applications, and this specific unit ended up setting the way for future innovations. 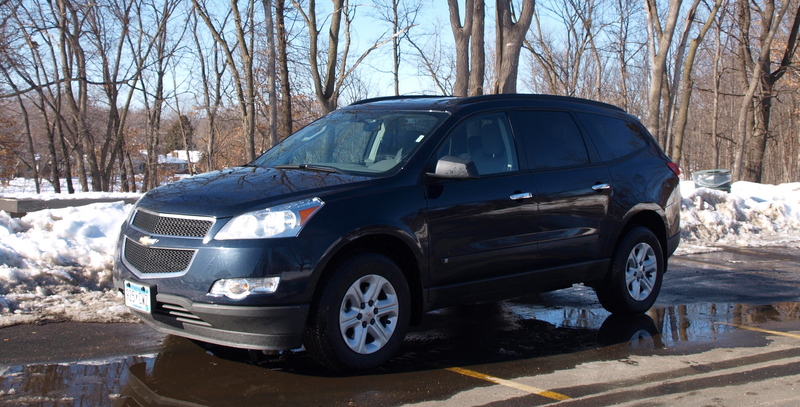 The Traverse also included a wood trim inside the interior, and drivers could choose between cloth and leather seats. Customers may not necessarily notice Chevy’s changes to the 2014 Traverse, but several of the new additions were incredibly important. The addition of the Forward Collision Alert and Lane Departure Warning helped make the SUV one of the safer options in the segment. The technologies alerted drivers when they were in unsafe driving scenarios, thus preventing a potential accident. Otherwise, the brand updated the Traverse’s sound system, and engineers also included a dual charge USB port near the center console. Drivers had the opportunity to choose between several additional color options for the 2015 model year, including Siren Red Tintcoat, Sable Metallic, and Blue Velvet Metallic. Meanwhile, the Ebony/Saddle Up interior color was also added to the catalog. Otherwise, the 18-inch wheels were restyled, making for a more intimidating appearance. The Siri Eyes Free technology was also added to the SUV, allowing drivers to access their phones without compromising safety. Incredibly, considering the presence of the 2017 Traverse, buyers may actually come across a used 2016 model on a dealer’s lot. Fortunately, the vehicle saw several revisions, making it different than the previous-year model. The brand reduced the trim offerings to four (LS, LT1, LT2, and LTZ), but they also added the updated OnStar 4G LTE connectivity capabilities (with a Wi-Fi hotspot). Engineers also included a pair of exterior colors (Iridescent Pearl and Mosaic Black Metallic), a new Leather and Drive Confidence Package, and 20-inch aluminum wheels. Best of all, the 2016 model continues the Traverse’s tradition of being one of the safest SUVs on the market. The National Highway Traffic Safety Administration gave the vehicle a perfect five-star score, while the Insurance Institute for Highway Safety also handed the nameplate the best-possible ‘good’ rating. If you hold off for another year or two, you’ll surely come across ‘new’ additions to a dealership’s used inventory. Chevy is planning on making the Traverse even bigger for future years, meaning the nameplate will now be competing with the Ford Explorer and Flex, the Nissan Pathfinder, and the Hyundai Santa Fe LWB. There’s no denying that the Chevy Traverse has established itself as the premier used SUV, and the future plans for the nameplate all but ensures that the vehicle will continue to be a logical option.